Well everyone, the day is finally here! It’s Christmas! We here at Reptile World Facts hope you have a wonderful Christmas, holiday, or just a plain old good day if you don’t celebrate. 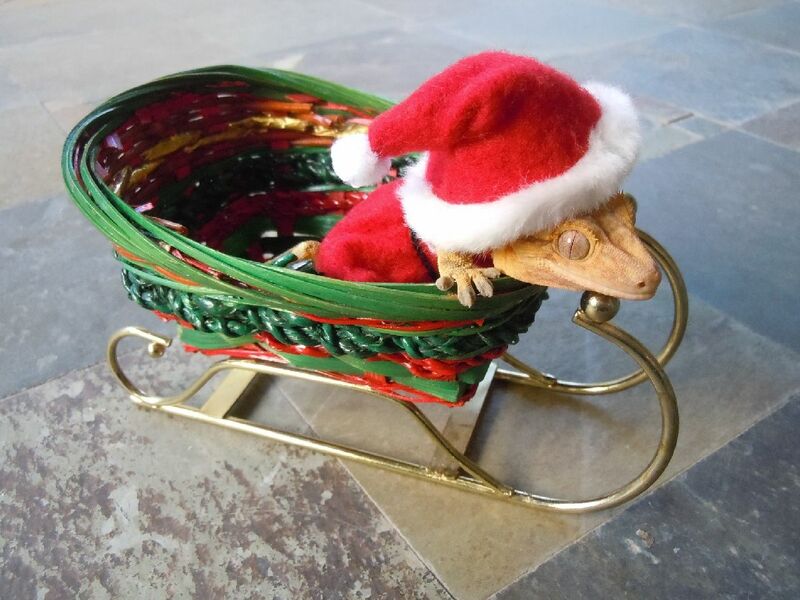 This list is going to pretty much be photos, because we think these adorable Christmas-y reptile photos speak for themselves. Keep scrolling to check out 20 reptiles full of Christmas Spirit, and don’t forget to come back tomorrow for the last article in the Christmas series – 10 Gorgeously Green Reptiles! 5. Bearded Dragons Around Their Very Own Tree! Iguanas Getting In on the Wrapping Fun! 20. A Leopard Gecko in a Stocking! And that’s all of it! We hope you enjoyed the photos we picked for you guys today, and we wish you a VERY Merry Christmas!